Our Campaign Correspondent, Tonya, has put together your favorite recipes for her side project, a cookbook, appropriately enough called "I Love Rocky Road!" 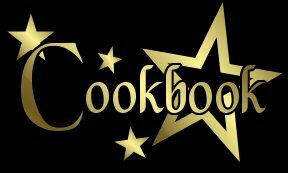 All proceeds from the sale of the cookbook will be donated to the Weird Al Star Fund. 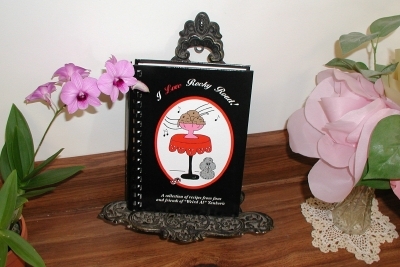 It's a hardback book with a linen finish and an imprinted spiral/plastic comb binder. 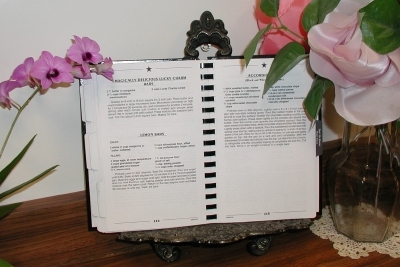 It contains 350 recipes (approximately 45 were donated recipes or recipes that were allowed to be reprinted, including, but not limited to, two of Mrs. Mary Yankovic's recipes that were donated to the Midnight Star (thanks Jay Levey! and thanks to Dr. Dad and Allison for help in getting copies!). Are you curious to know Dave's favorite food and restaurant? Want to try the recipe Jon "Bermuda" Schwartz contributed? Wanna know what's cookin' in the Waffle Brothers' kitchen? What Grant of Throwing Toasters likes to cook/eat? What Chuck Miller can do with a little Spam? Or what Rubén said in reply to the request for a recipe?!? - LOL! *also reprinted with permission* - parental discretion advised ;) And that's just to name a few! The cookbook is $20.00, plus shipping and handling. (One book is $3.95 and two books $4.75 for 2-3 day priority shipping within the U.S.). E-mail for shipping and handling costs outside of the U.S. To order, send an e-mail to cinnamon@weirdalstar.com. Don't delay. There is a very limited number of copies that will be available and it will not be reprinted. So once they're gone, they're gone. To date, cookbook sales have raised $1,420.00 for The Weird Al Star Fund. Al isn't associated with this book. He is vegan and has been a vegetarian/vegan since reading the book "Diet For A New America" in 1992. All proceeds will be donated to the Weird Al Star Fund. © Hollywood Walk of Fame Star Campaign for "Weird Al" Yankovic - All rights reserved.